Located over at the Yacht Club in Disney’s Boardwalk area, Captain’s Grille is a good place to get some great seafood! Join us as we explore this table service restaurant in more detail! 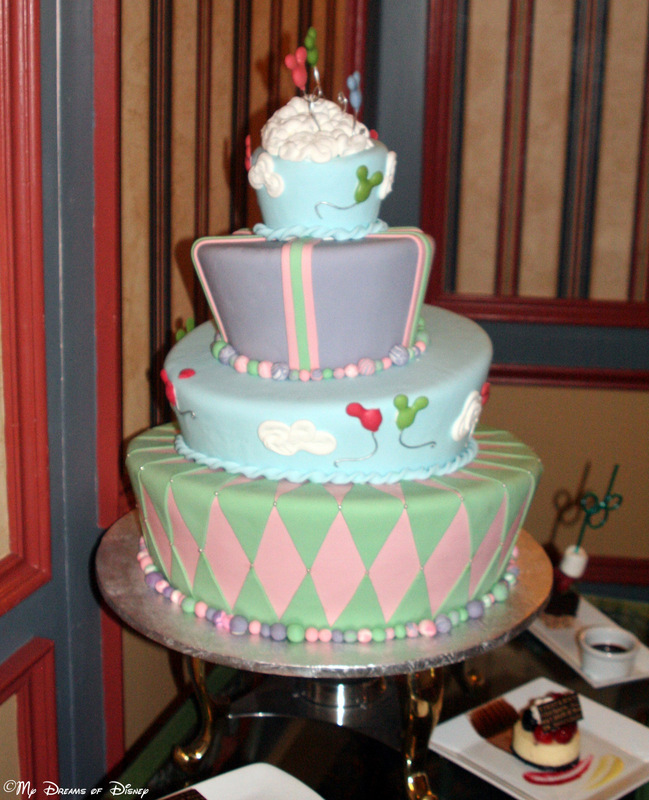 Located in the lobby of the Captain’s Grille is this wonderful looking cake — while it is only a display item, it does depict one of the actual cakes that they can make, and it is phenomenal looking! We ate at the Captain’s Grille on June 15, 2010, the night before we checked into our resort at Port Orleans French Quarter. This was during our trip when we took Stephanie to Disney World, and this was just one of the many fun things we did during that trip! 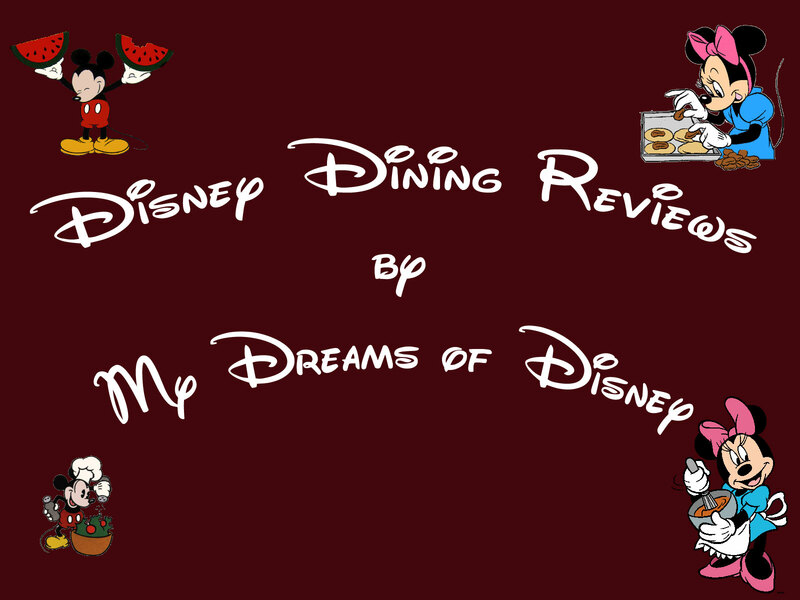 The food was incredible, the atmosphere is perfect — the decor of the restaurant really fits in with the whole theming of the Yacht Club, and the snow crab legs — which is what I had that night — were absolutely incredible! The Captain’s Grille is open for breakfast, lunch, and dinner. For breakfast you can order the buffet, or you can order ala carte off the menu. For lunch you can order different kinds of sandwiches, and for dinner you can order off of a full menu, which includes different appetizers, entrees, drinks, and desserts. Captain’s Grille is a table service restaurant, so reservations are recommended, and they are on the Disney Dining Plan for a one table service credit per person. I’m including links for the downloadable pdf version of the dinner menu and the children’s menu, so feel free to check them out! My family really enjoyed eating at the Captain’s Grille. While we have only been that one time, this is definitely a place that we will come back to in the future to enjoy again. If you plan it right, you can then take some time to walk around the Boardwalk area of Disney World, which is alive at night during the summer! Enjoy! Because of that, I think the best picture of flowers I have is the garden over at the Canada Pavilion in Epcot’s World Showcase! 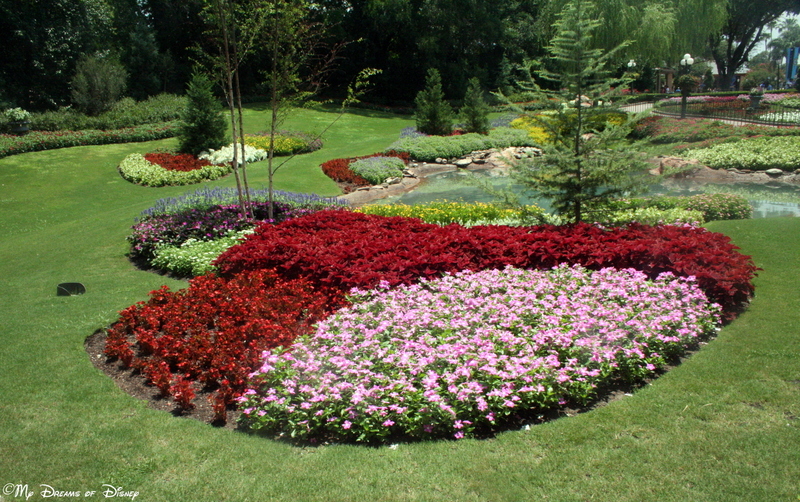 Outside of the Epcot International Flower & Garden Festival, which I have yet to visit, this garden always seems to be in bloom, and the colors are just incredible to me! Thanks for stopping by to look at my picture! Why don’t you head on over to Focused on the Magic and check out the rest of the entries? Just click on the image below!